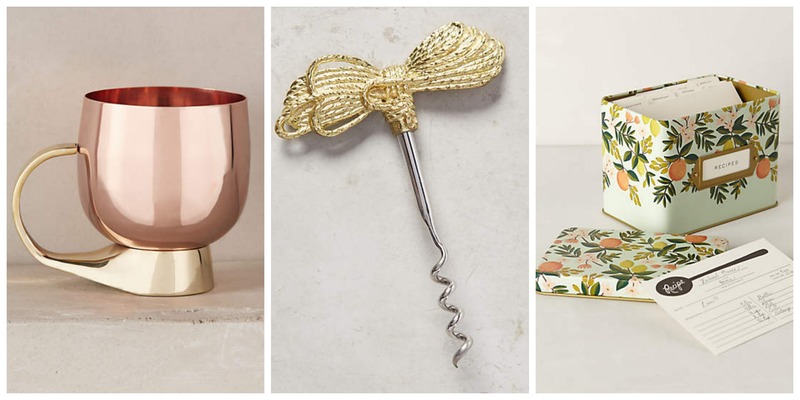 Anthropologie is a brand you can pretty much always count when looking for cute gifts, but just in case you don't feel like scrolling through the gift section on the Anthro website yourself, we've picked out the best possible presents for hostess gifts, stocking stuffers, Secret Santa and more! 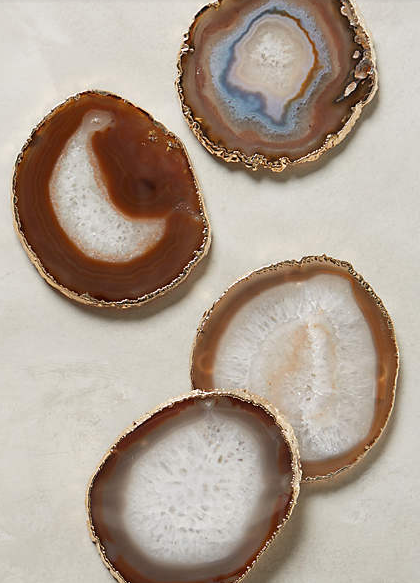 Coasters make a wonderful hostess gift, because they show your friends and family that you care about and have respect for their furniture -- no one likes rings left on nice surfaces! 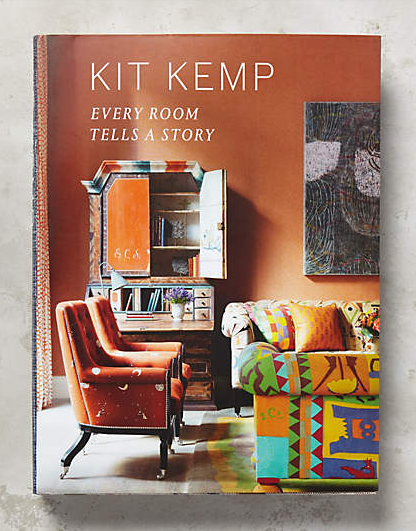 Designer Kit Kemp inspires readers with her dynamic, brightly-colored interior ideas and shares her expertise on adding personal touches to your home. The book makes a cute addition to any coffee table or bookshelf! 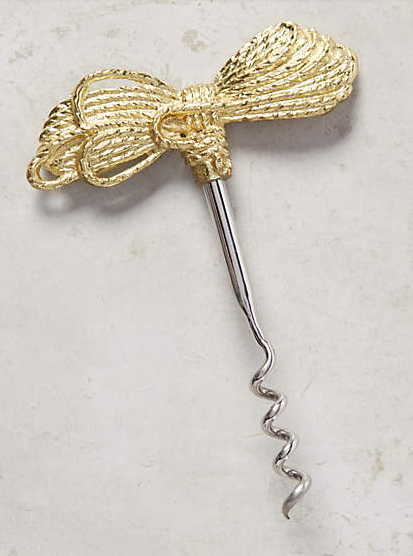 Every good party needs a fun corkscrew, so this needle and thread version makes a great hostess gift! 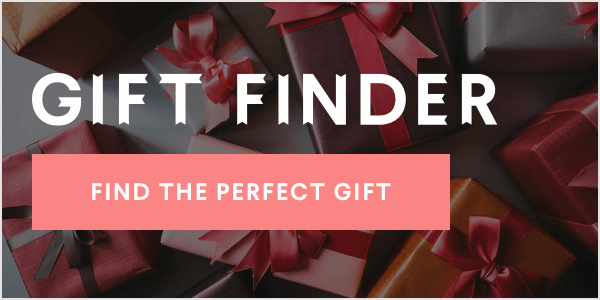 Also great for the holidays in general, when wine often abounds. 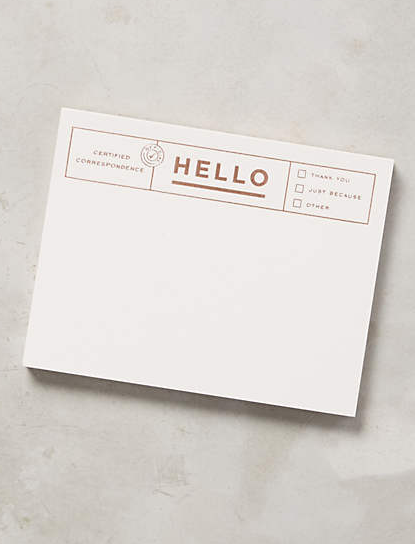 Phone messages, event reminders and shopping lists all deserve to be written down on a notepad as cute as this one, which makes a lovely gift for just about anyone! 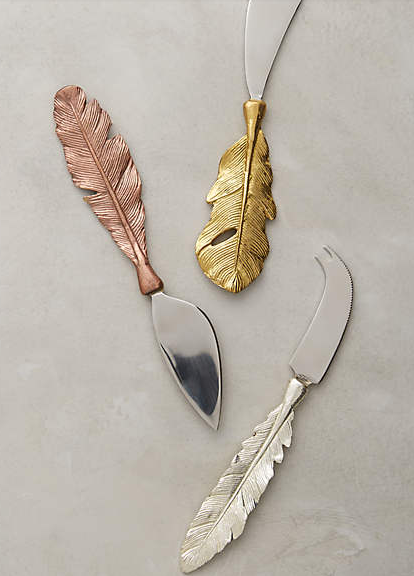 Give this set of brass and stainless steel cheese knives to any gourmet food connoisseur in your life who needs to add something pretty to their charcuterie board. 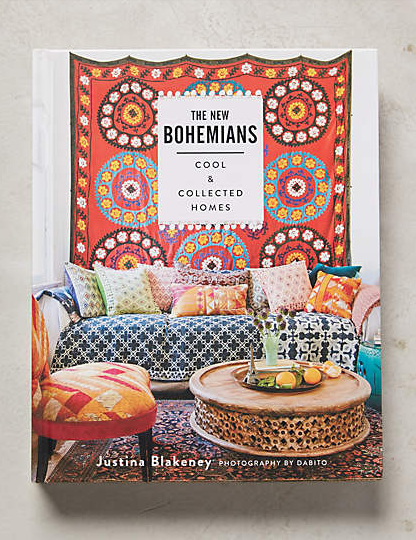 This design book is perfect for any free-spirited, creative person in your life who loves to infuse their home with color and patterns and likes to DIY. 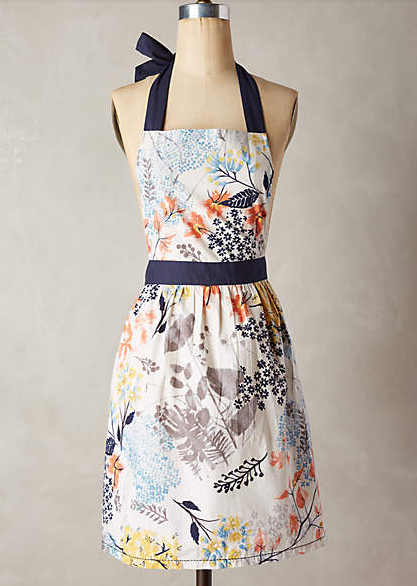 This adorable patterned apron makes the perfect gift for any of your loved ones who enjoy spending time in the kitchen. What a fun way to brighten up their days! 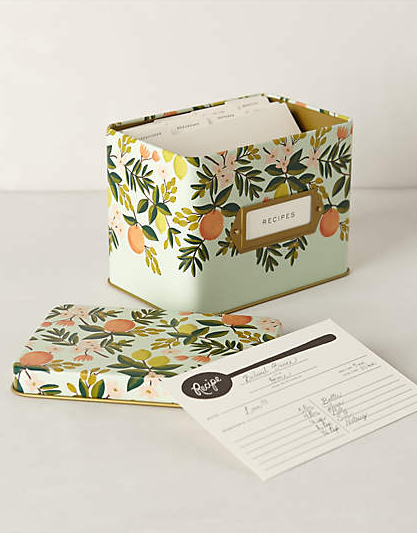 With 12 dividers and 24 recipe cards, this vintage-inspired botanical recipe tin is the perfect starter gift for anyone moving into a new home or who is just learning to love cooking. 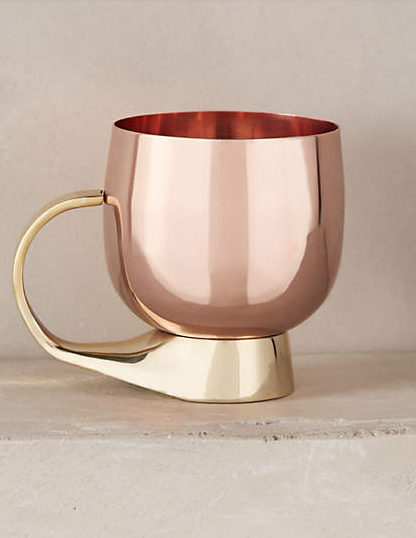 A modern, pretty take on the traditional Moscow Mule mug, this version is great for anyone looking to add a little style to their home bar cart or holiday get-togethers. 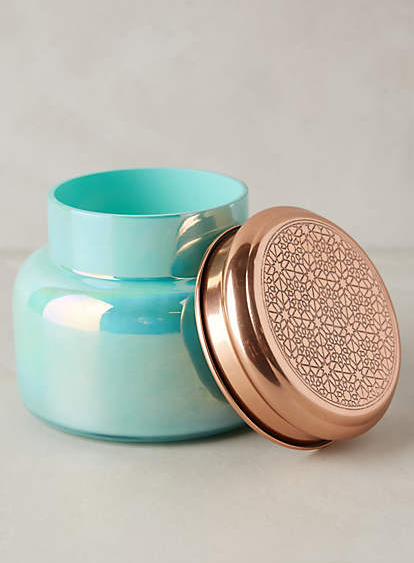 Everyone loves anything that makes their homes feel cozier and smell good, so this gift is sure to please. Our favorite scent is Volcano, which smells like tropical fruits, oranges, lemons, limes and exotic mountain greens.